This post is brought to you by CJ Affiliate’s VIP Content Service and sponsored by Sandals & Beaches Resorts. While this was a sponsored opportunity from Sandals, all content and opinions expressed here are, as always, our own. You could choose many different spots across the globe for your honeymoon. And–if you’re like us—we think you should honeymoon again and again…and again! 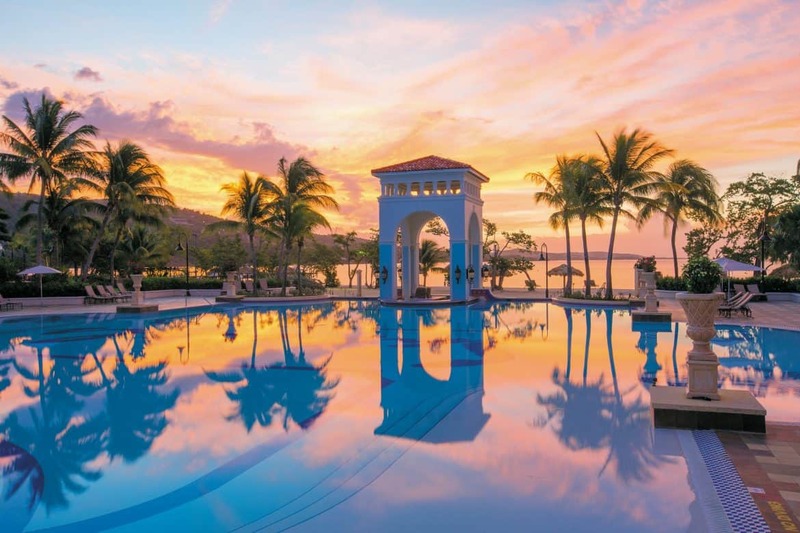 Whether you’re tying the knot in 2019, renewing vows, or simply looking for some of the most romantic resorts available, you can’t go wrong with these 7 gorgeous Caribbean destinations. 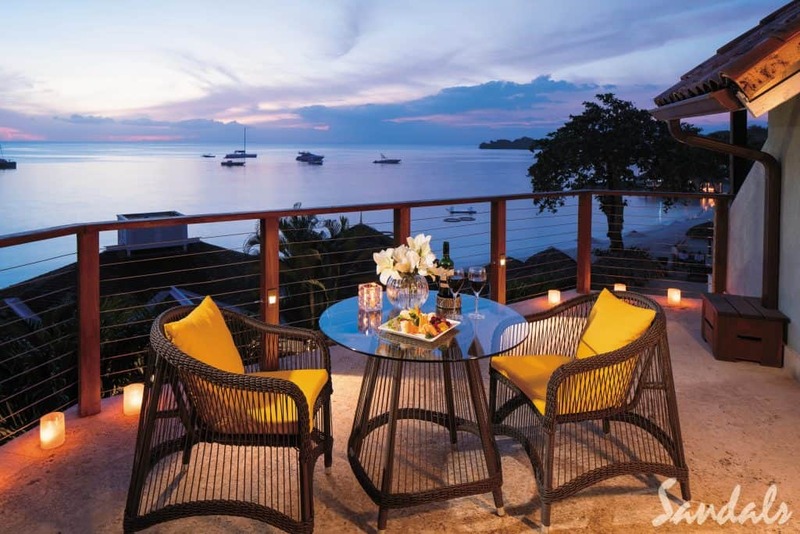 Each one boasts a Sandals resort, the world-renowned hotel chain that is the icon of romantic couples travel. 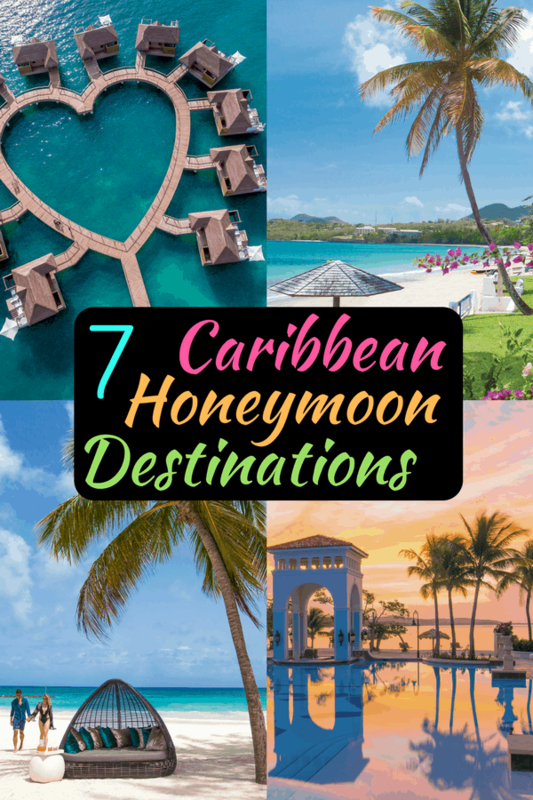 Read on, grab your swimsuits, and start dreaming about a Caribbean honeymoon. Can you imagine bathing in this stunning tub with your new spouse? What a dream! This is what Sandals Montego Bay has for you. Montego Bay is a great Jamaican honeymoon destination, because it’s a popular area with lots to do. Of course, you need never leave the resort to have a total blissful adventure. With a swim-up pool and the beach right at your doorstep, it will be hard to leave! Do you dream of sparkling aquamarine water? 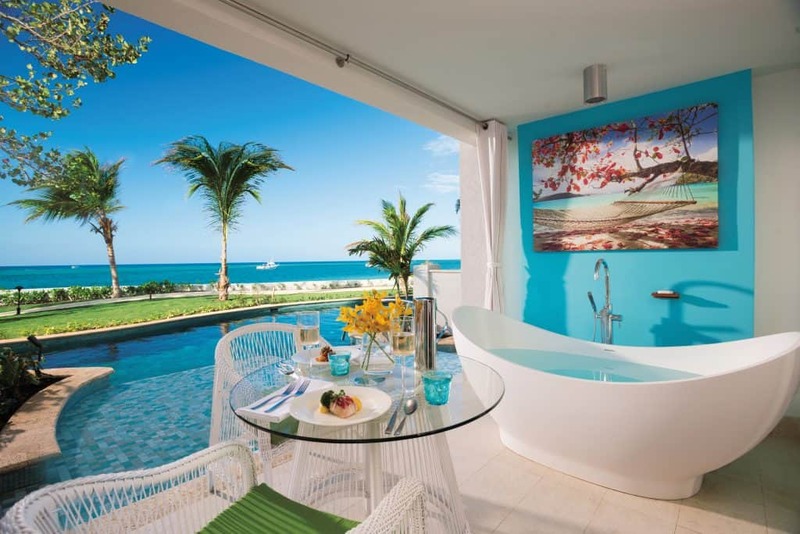 You might want to consider Sandals Halcyon Beach for your honeymoon. This is a lush garden paradise where flowers and trees fringe the edges of cool blue waters. 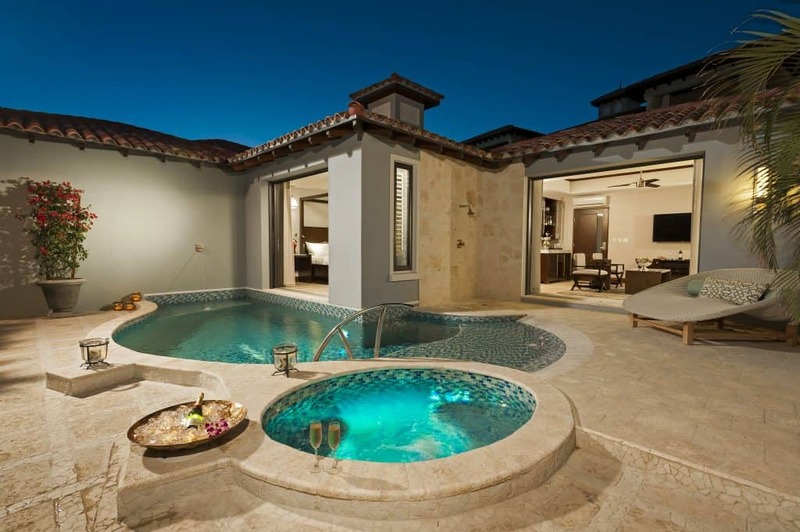 In case you need an excuse to seek out some luxury, consider the resort’s new Beachfront Honeymoon Butler Suites with your own private deck and plunge pool. You certainly won’t get bored here, with 27 restaurants and tons of water activities you can do right from the beach. Through the Stay at 1, Play at 3 Exchange Program you can stay at the Halcyon while enjoying two other glorious St. Lucia resorts as well. Grenada is a beautiful choice for a Caribbean honeymoon. 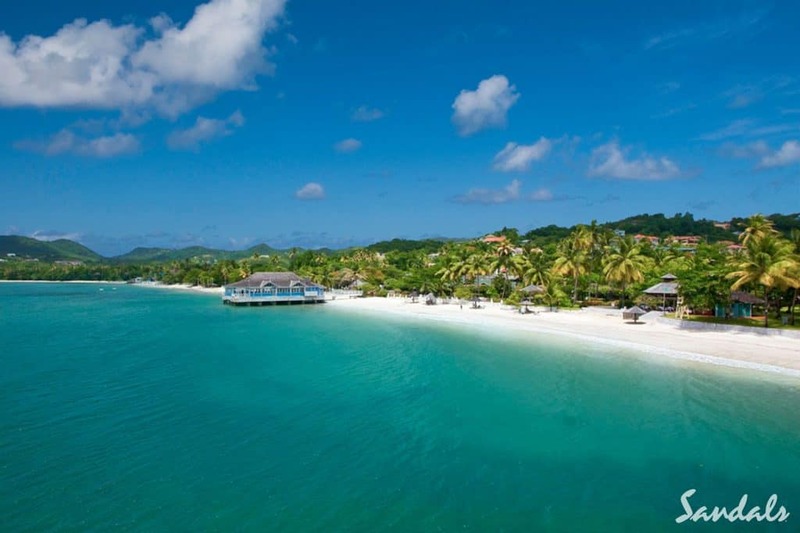 And one of the most heavenly resorts has got to be Sandals Grenada. Just look at some of these rooms and suites! 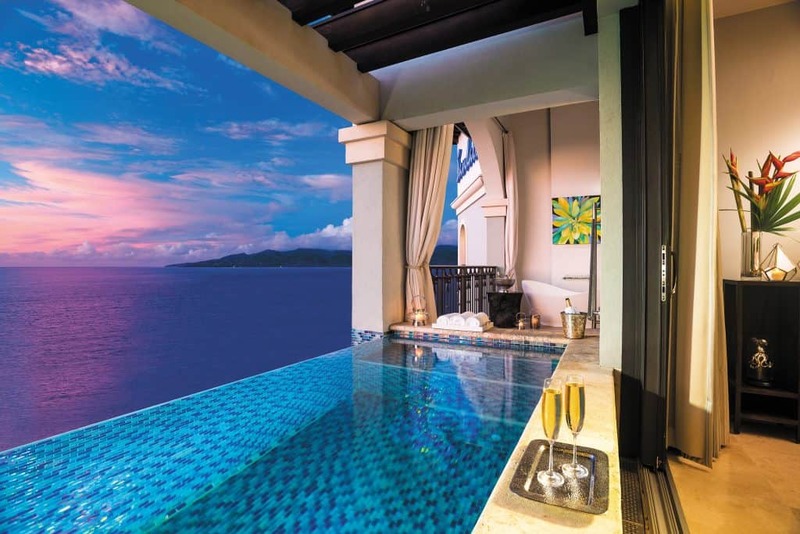 There’s very few places we’d rather be right now than in that private infinity pool! 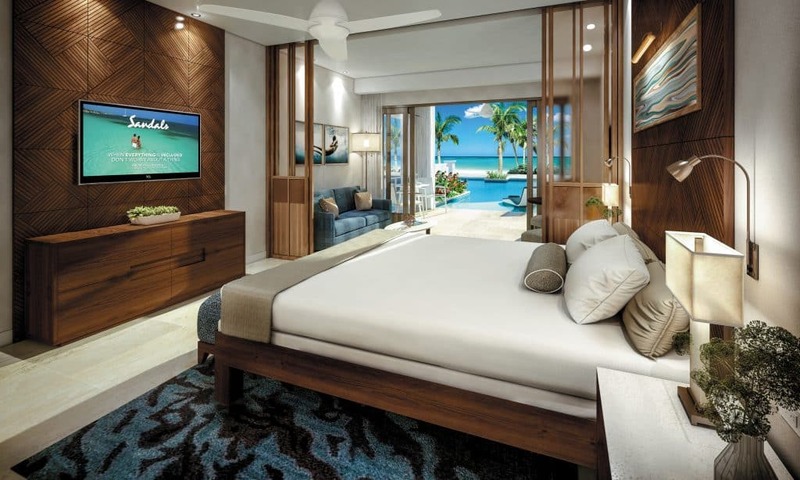 The resort has a huge variety of different rooms to choose from but the Italian Oceanview SkyPool Butler Suites look particularly amazing, as do the South Seas Villas. Both of these offer a special private butler service, which is definitely a fabulous add-on for a honeymoon. 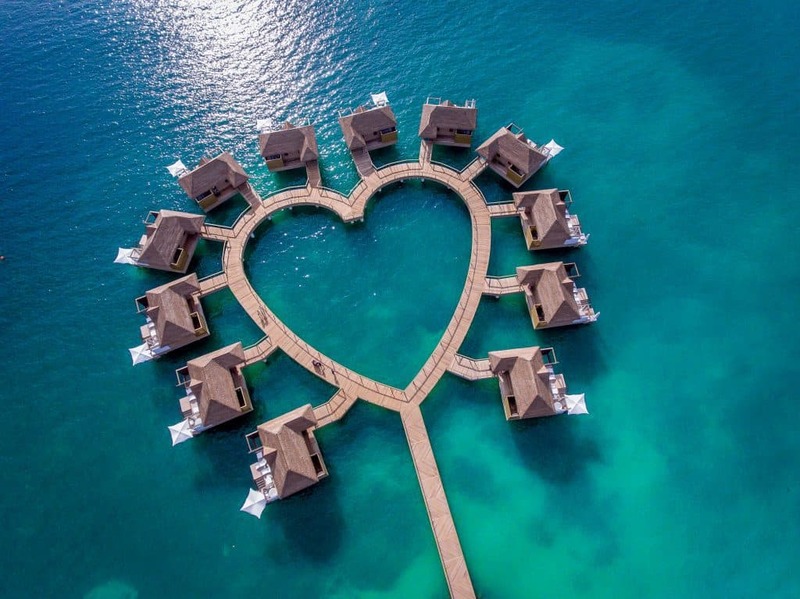 So many of Sandals’ Jamaica resorts look amazing, but Sandals South Coast may be the prettiest, with its overwater bungalows situated in a heart shape and the lush mountains in the background. It’s definitely romantic looking. 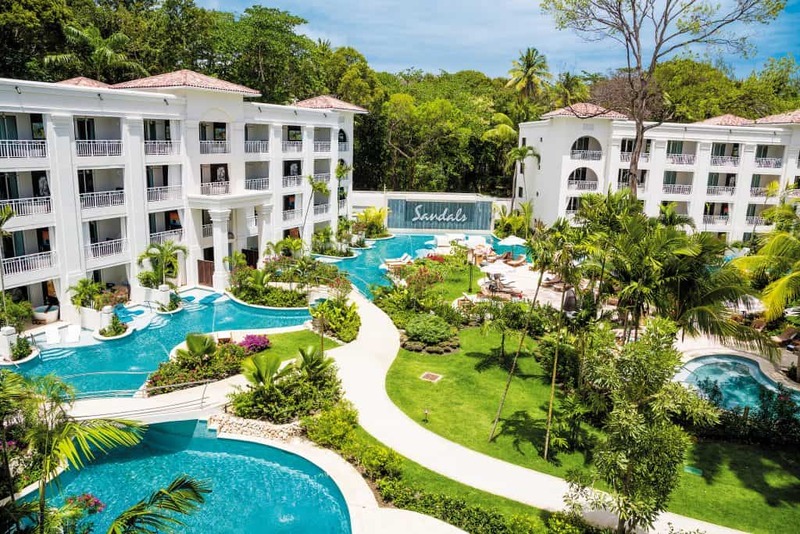 Sandals South Coast is nestled within a 500-acre nature preserve, so you’re going to a place where you’ll be close with nature. Just you, the beach, and your partner. 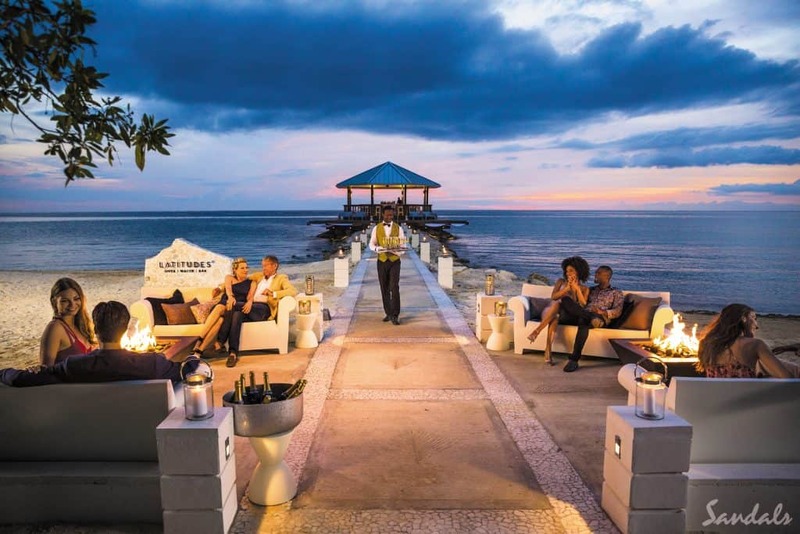 When you want to go on an adventure, have a swim in Jamaica’s largest pool, enjoy the cozy bonfires in the evening, or simply walk the 2 miles of white sand beach hand in hand. 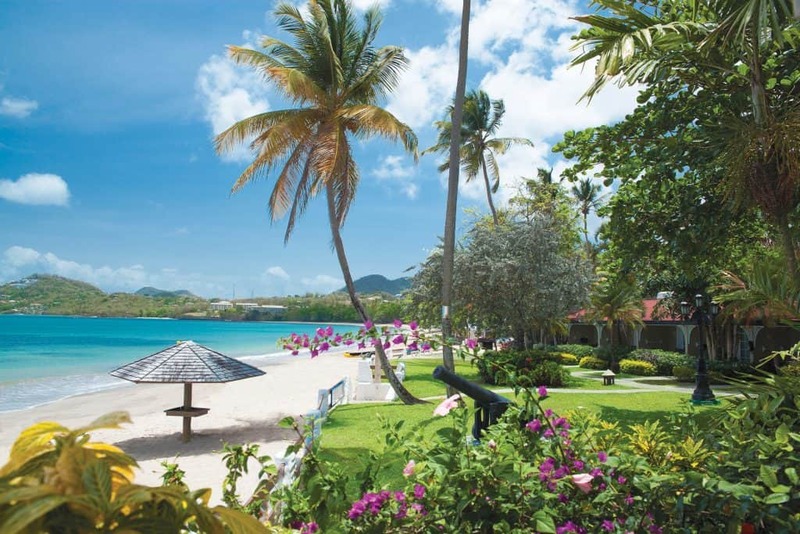 In St. John’s, Antigua, you will find a romantic oasis. Need further proof that this is an ideal spot for a Caribbean honeymoon? Ask the critics. Sandals Grande Antigua is continually rated as the world’s top romantic resort! It’s not hard to see why…. It’s possible you may never want to leave…. Antigua has many notable beaches, but one of its most spectacular and well known is Dickenson Bay. 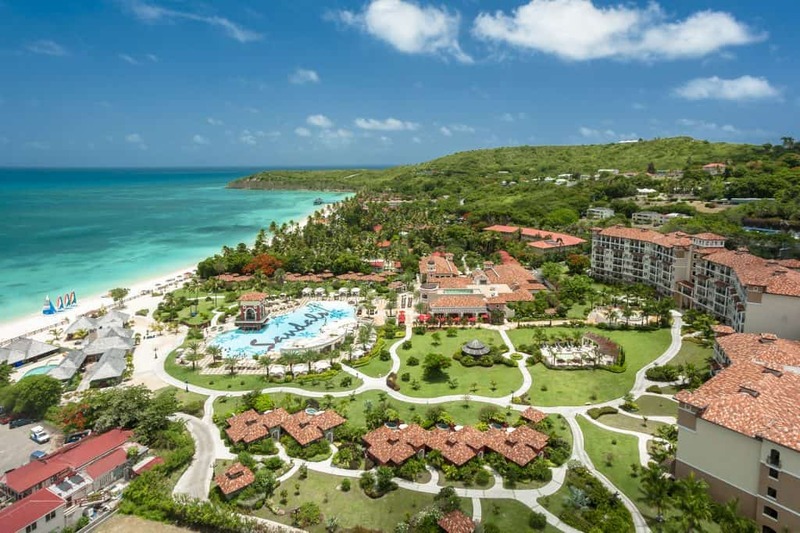 This is where you’ll find Sandals Grande Antigua. Sip a cocktail on the idyllic beach or enjoy one of the many water sports. When you’re done, dine at one of 11 restaurants or grab drinks at one of 7 bars. 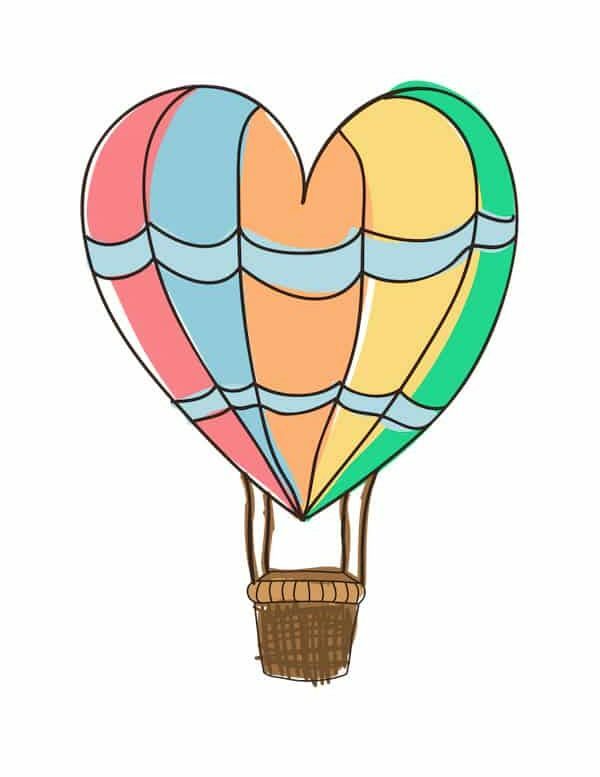 Seeking fun, sun, & romance? Welcome to Barbados! 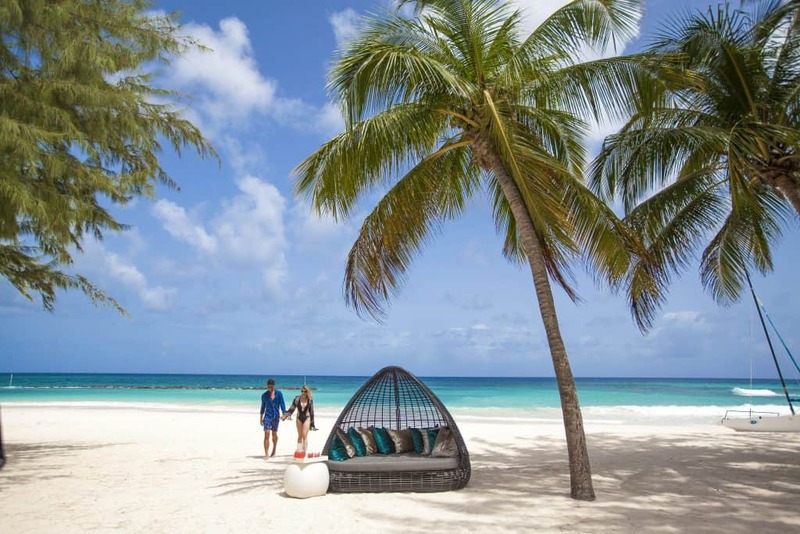 At Sandals Barbados you’ll be delighted with all their is to do, see, and enjoy. When you’re not swimming in tranquil swimming pools or receiving a luxuriant spa treatment, you can dine at one of the 11 restaurants, many of which serve specialized global cuisine. And of course, you’ll enjoy every aspect of the all-inclusive lifestyle that Sandals is famous for. Negril, Jamaica is known for its miles and miles of sandy white beaches. The calm waters of Long Bay allow for lovely snorkeling and scuba-diving opportunities. 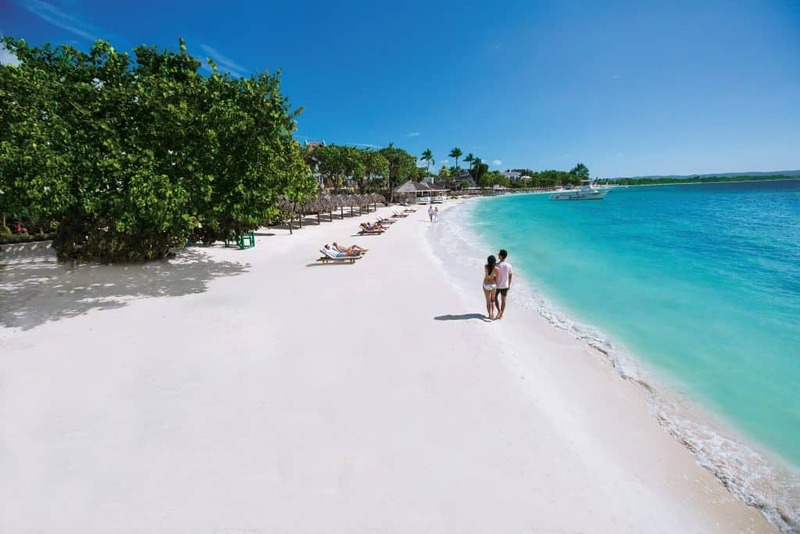 For a classic tropical honeymoon, Sandals Negril is a wonderful choice. If you want your getaway to be 100% focused on relaxing and enjoying the beach, this would be perfect. Every guest room is literally just steps to the beach. Maybe you’re wondering what is so special about Sandals? Not only are the resorts built for romance, your stay is all-inclusive, and SO MUCH is included. From fine dining to scuba diving to unlimited premium spirits, you don’t have to think, plan, or budget while on your honeymoon. You can simply relax in paradise with your new husband or wife and experience a total luxury escape. Doesn’t that sound nice? We’re ready to go! 2nd honeymoon anyone? Amazing post! Thanks for sharing this post with us.Keep sharing.